There are literally hundreds of wallet apps out there competing for your attention. Banks, credit card companies and app developers are all trying to capture market share by creating the best, or most familiar, digital wallet app or peer payment option for consumers. We’ve narrowed it down to 37 wallets that can help both consumer and business to budget and spend in a savvy way. One of the best, if not the best, digital wallet app. They offer online invoicing, bill pay, cost splitting, time tracking and a whole host of other features for any freelancer or business to use. Signup is free and comes with tight security. Merchants and others using the wallet app for commercial purposes will love the flat 2.8 percent transaction fee for any and all payments. Their platform is another great solution that connects merchants directly to Visa, MasterCard, and all key payment methods globally, enabling businesses to accept payments and optimize growth across digital and brick and mortar platforms. They support a wide variety of payment methods from all over the world like Diners Club International and UnionPay. Basically, their goal is to globalize retail. Serving 196 countries, Allied Wallet allows merchants to accept every major credit card with their own proprietary swipe device. Allied Wallet even has ACH processing to streamline direct deposit to employee and affiliate payouts. Businesses can easily accept credit card payments online in today’s 24-7 commercial environment. Management tools and a solid customer service team are available to help merchants thrive. Send and receive money to and from friends or family. Money can be deposited directly into your bank account. Split bills, collect rent and accept payments for services. It’s a simple wallet app, but it works well and links seamlessly for any Google user. Their mobile payments platform unlocks financial freedom for roughly 2 billion people around the globe who carry mobile phones but no bank accounts. Mozido provides alternative services at lower fees through mobile phones. Their CONEC Mobile Wallet allows users to top up phones, pay bills make transfers and buy things online. Customers can pay with Mozido, get rewarded with Mozido, and engage in other brands with Mozido. All in a day’s work. An oldie but a goodie. PayPal acquired Venmo in 2013 and hasn’t looked back. It is one of the most well-known and widely used of the mobile wallet apps. The social media style of the app certainly keeps people engaged. Users can keep their transactions private, but then how would one have fun? This year Venmo began allowing merchants to accept Venmo as a payment. The now-public company Snapchat has been trying to explore different avenues to keep user activity at a maximum. Users can send and receive cash after linking a debit card to the app. While the app is certainly limited in this aspect, Snapchat users may prefer it to downloading yet a different mobile wallet app. Not quite a wallet app, but certainly more than a messaging system. Just like Snapchat, Facebook is trying to keep users coming back to the proverbial watering hole. Users can send and receive payments from friends—and not much else. Android Pay is the Google equivalent (although not Google Wallet) of Apple Pay. Users can simply open the app and manage their money wherever they take their smartphone. POS purchases, online payments, and other features are available to Android users. The app can store credit, debit, and loyalty cards for pretty much any purchase. It’s been around the longest and also comes with a larger number of accepted locations than its Android competitor. Simply connect a credit, debit to your phone and get on your way to a near-effortless shopping experience. And, unlike Android Pay, Apple Pay accepts AMEX cards. Samsung pay, although only available on Samsung phones (surprise!) like the Galaxy S6, Note5 or later, is awesome because it can be used like a normal credit card without the security risk of a normal card swipe. The phone can mimic a magnetic swipe on machines without the near-field communication (NFC) technology. Because of this, Samsung Pay theoretically works with every retailer that accepts credit cards. For those using Windows phones, all sixteen of you out there, Microsoft Wallet is there for you. Simply link it with your Microsoft account and your credit or debit card and rest easy as shopping simplifies before your eyes. Boost has provided their users with a wallet app to rival some of the other mobile wallet apps around. You can deposit directly, cash checks, pay bills and send money to friends and family for free. Users less integrated with the banking world will be happy to see something that isn’t out to charge them a ton of ridiculous fees. However, the account limits are much lower than that of a normal bank. BTCC released a multi-currency wallet app for iOS and Android that allows users to convert bitcoin to over 100 currencies. With just a smartphone, money transfers can be initiated between any Twitter account or mobile number. It even comes with a physical debit card that lets users spend bitcoin anywhere Visa is accepted and withdraw funds from an ATM. A personal favorite, Coinbase offers a cryptocurrency wallet app that lets users change their local currency into bitcoin, ethereum and litecoin. The app allows you to access the exchanges where users can buy and sell each of these currencies. Coinapult’s wallet app allows users to access bitcoin exchanges as well as send and receive bitcoin from other users via text and email. Unlike some other wallet apps, Coinapult does not charge any fees to accept or make payments. You also won’t be subject to bitcoin price volatility. Essentially, the amount charged will be the amount received. Period. A cryptocurrency wallet app that supports a over 60 digital currencies. Yeah it supports Bitcoin, but it also supports altcoins from Blackcoin to Insanecoin and OKCash to Dogecoin. User can convert instantly between altcoins through the app. For a wallet app, it’s light on the space and data usage. Many smaller banks simply rely on one of the the card-provider wallet apps (Visa, AMEX, Mastercard, etc.) or phone-specific wallet apps to perform any mobile payment functions. Unlike some of these other wallets, Accelitec’s WalletBuilder does just what the name says: builds digital wallet apps. With WalletBuilder, Accelitec offers companies a way to create a unique digital wallet app for their customers. It can help small businesses compete with larger chains by offering consumers point rewards, targeted advertising and coupons to maximize their available cash. What was once a basic mobile wallet for loyalty cards is now a total shopping solution, providing consumers with access to exclusive deals from their favorite retailers and CPG brands. Through relevant messaging and a consumer-first approach, businesses can capitalize on Key Ring’s powerful convenience and utility to drive shoppers to their brand and through the purchase funnel. It’s Lyft’s gift card holding brother! 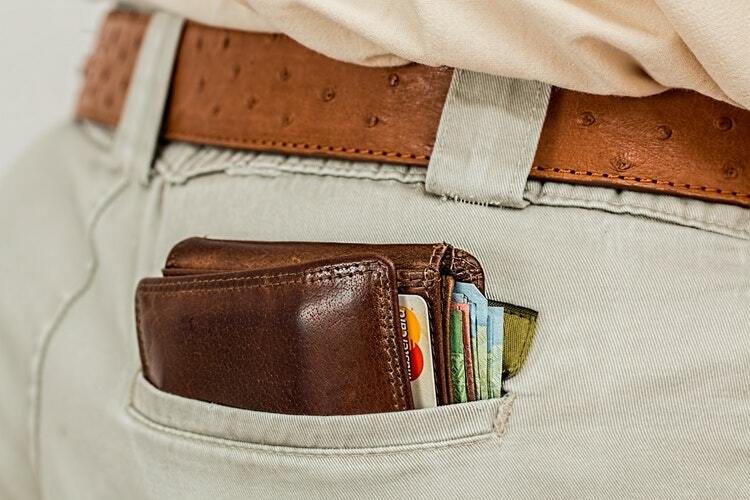 They hold on to a wide variety of gift cards to keep your actual wallet skinny. Also, they accept Visa, Mastercard, AMEX, PayPal, Bitcoin and even Apple Pay so users can get their gift-card fix. Lyft helps with loyalty rewards programs for businesses of all sizes. Hungry? Well, get ready for a food revolution. App users can order ahead and get back to work or hanging with friends instead of standing in line. Restaurants can use the app to engage guests on a customizable level to keep them coming back for more…food. The Paycloud mobile rewards app is an extension of SparkBase’s effective loyalty programs that were designed specifically for small, local businesses. Owners can keep customers coming back for more with loyalty perks. Upfront and monthly costs get owners an entire kit with cards, a business tablet and display stand as well as access to their easy to use business app.